This charming, old-school caff has been quietly serving the quaint area of Hillingdon since 1976, but don’t let its reserved history fool you. 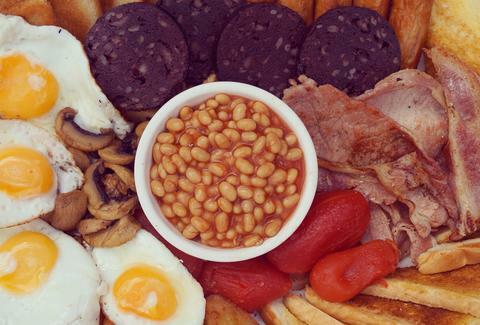 It officially threw down the breakfast gauntlet with its full English Challenge. It features four fried slices, four slices of toast, four eggs, six sausages, six rashers of bacon, six hash browns, four black pudding, plum tomatoes, mushrooms, and a whole bowl of beans, to be consumed in under 45 minutes. Only one person (competitive eater, Emma Dalton) has ever seen the empty plate of victory. Over in ‘Murica, they do things big. So it’s no surprise that Southern-style Big Easy likes to keep things authentically massive. On Mondays, Tuesdays, and Wednesdays, find yourself up to the ears in unlimited porky goodness, shrimp, or its massive Hog Roast, plus all kinds of sides. Get stuck in for the long haul; if you’re still eating, they just keep bringing you more. 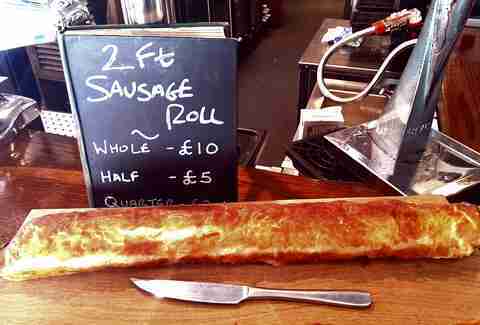 They say size doesn’t matter, but we all know they weren't talking about sausage rolls. 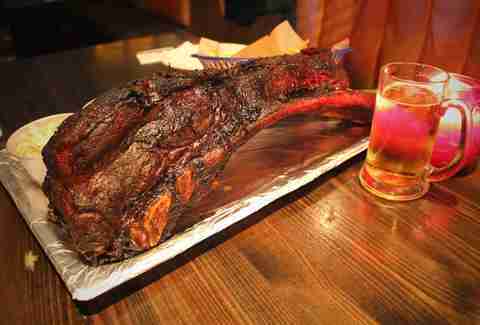 The County Arms has one measuring out at a glorious two full feet of flaky, golden crust with juicy spiced meat inside. Sure you could wimp out and only get a portion of the beast, but then you wouldn't be able to look another sausage roll in the eye again. 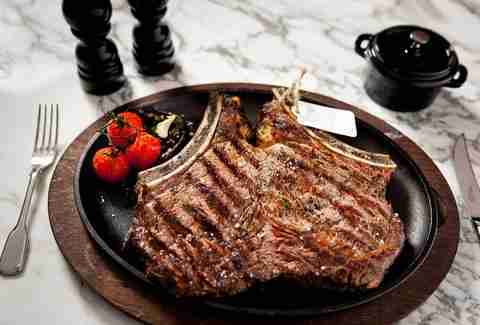 This 1-kilo slab of top-shelf steak is grilled to order and smugly waiting for you to try and eat it. It takes no prisoners and boasts less then a 10% finish rate. In fact, only around 60 people have even had the stones to try. 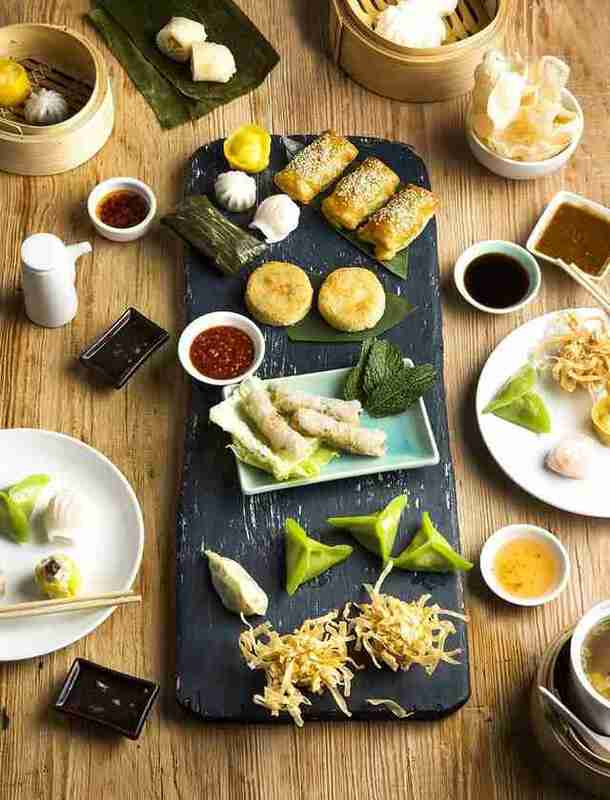 On Sundays, the PP crew realises that your brain might be preoccupied with headaches and such, and dealing with a vast dim sum menu could be too much of a task. 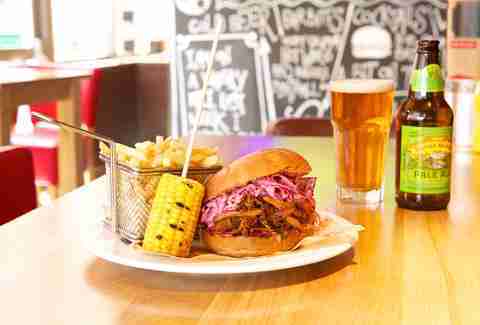 With the Lazy Sumdays menu, you can keep ordering until you work your way through the entire menu. And then start at the beginning again. 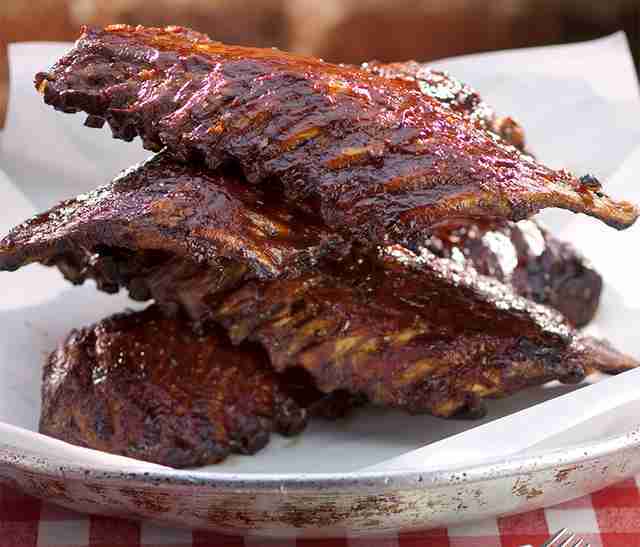 These cartoonishly large Flintstones-style ribs are only available on Monday evening, and must be pre-ordered. They weight 5/6kg each, and if you can finish one unaided, you'll get it free, plus a T-shirt, and a serious case of the meat sweats. This famed challenge has been wowing London since the dawn of the house of meat & booze. 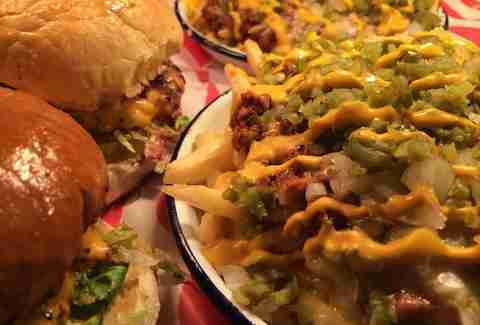 The game is to polish off the whole trinity of a dog, burger, and fries, each loaded with chilli cheese, and each of which is a whole meal unto itself. Do it under 10 minutes and get it for free -- but you may want to train first. The fastest time is currently a lightning-fast 2:47, so good luck. 20oz of meat stacked four patties high with four slices of cheese, onion, lettuce, tomato, and of course, two sides for extra measure. Not enough for you? Upgrade to The Towering Inferno Challenge Burger and load it up with jalapeños. You'll never finish this meal because it almost literally never ends -- the food just keeps on coming with unlimited hot wings, pulled pork, ribs, fries, and grilled corn until you either tap out or pass out. 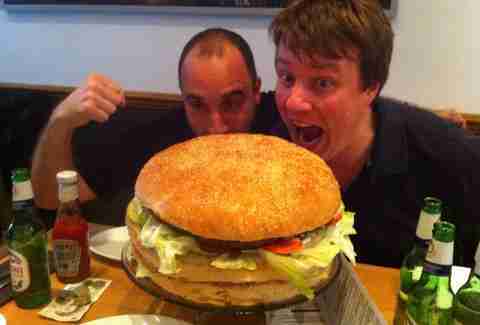 This vast burger is officially Europe's largest, weighing in at 7lbs of beef, nine bacon rashers, nine slices of cheese, a whole head of lettuce, and seven whole tomatoes triple-layered between a bun larger than your head, plus a pound's worth of skinny fries and a full-sized milkshake. Polish it off and land yourself on the sparsely populated Wall of Fame, but crash & burn and find yourself immortalized on the crowded wall of shame. These guys wanted to make sure only the most serious of eaters got involved, so this monster has to be booked and paid for 48 hours in advance. Sign up here for our daily London email and be the first to get all the food/drink/fun in the city.